yay! I'm so glad my camera took color accurate pictures of Slow Fade of Love, because it is amazing. This is one of those blurple (blue+purple) colors that my camera tends to mistake for blue, but not this time! I'm so glad that I could show you the beauty that is Slow Fade of Love. If you ask me, this is a must have for blurple lovers. I cannot begin to describe how perfect it is. 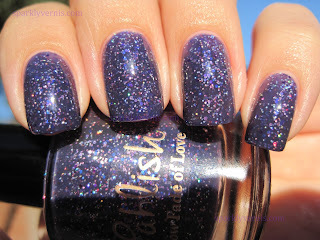 This is one of those nail polishes that you go "that's the shade I've been looking for, for a very long time, finally". This is plastic-y, both in formula and finish, it looks wonderful as a glossy crelly (creme+jelly) would, but you must shake the bottle after every three nails or so. This has much more going on than the pictures will ever show, yeah to the human eye it's just a holo purple in pics, but trust me on this one, it is pure blurple perfection. 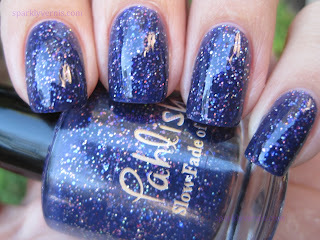 It has purple glow in the shade iridescent glitters, very *very* similar to the flakies in Inglot 204, small pink holographic glitters akin to the ones in the shreds shown on the current background of my blog, as well as has random small violet glitters thrown in there. Ok enough about Slow Fade of Love, I like it so much, I could write about it all day. 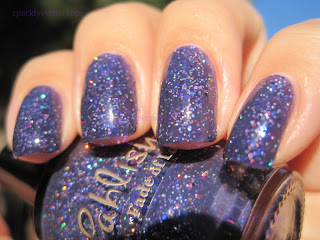 Very few purples surprise me, I really thought I had seen it all regarding purple glitters, thanks for proving me wrong Pahlish ♥ On to Prayers for Rain. It is a very similar concoction to Deborah Lippmann Across the Universe, except this one is a lighter jelly and it has additional translucent iridescent squares. The squares are hidden, but they give the nail polish another dimension, they are similar to the ones in Literary Lacquers Love-In-Idleness. This, I don't know how many I have like it, ocean-like indie, but I think it is different from the others, and I'm definitely happy to have it in my collection. Plus, it's the perfect jelly, no VNL (Visible Nail Line), great formula and a two-coater. 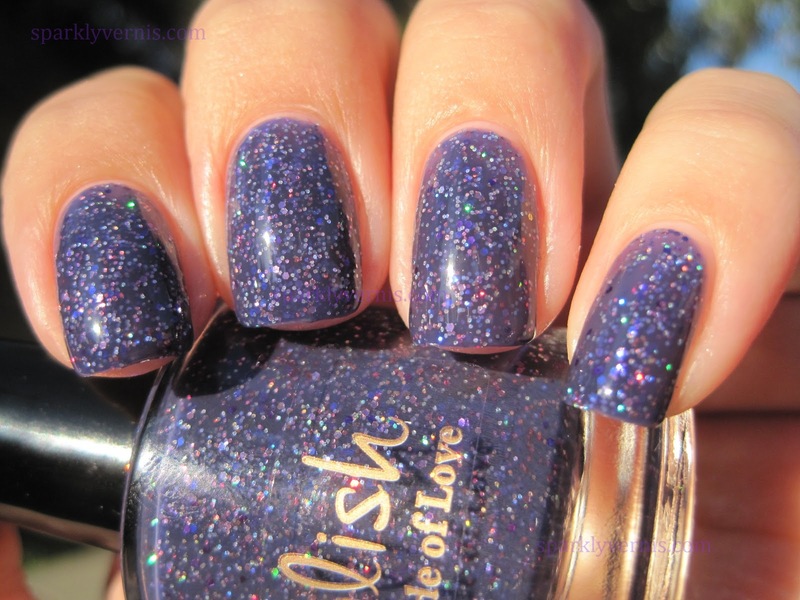 To me, Pahlish is very underrated. I have a fairly good amount of Pahlish (thanks to my friend K!) and their consistency with the formula and glitters, combined with the great color choices always amazes me. If you haven't tried this brand, definitely give it a go, you will love it. wow, I love Slow Fade of Love!! You made these look really good! 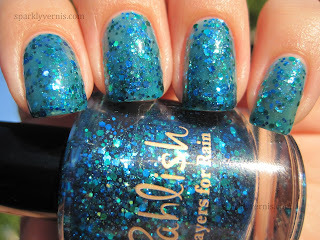 I have a few Pahlish colors and I love them. Looks like I need to add at least two new ones to my list. Thanks for showing them! 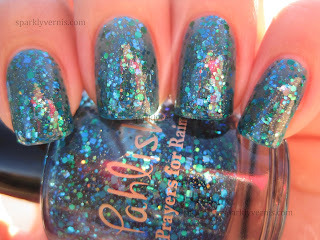 Prayers for Rain is so pretty! These both look so pretty on you! Thank you so much for the shout out!